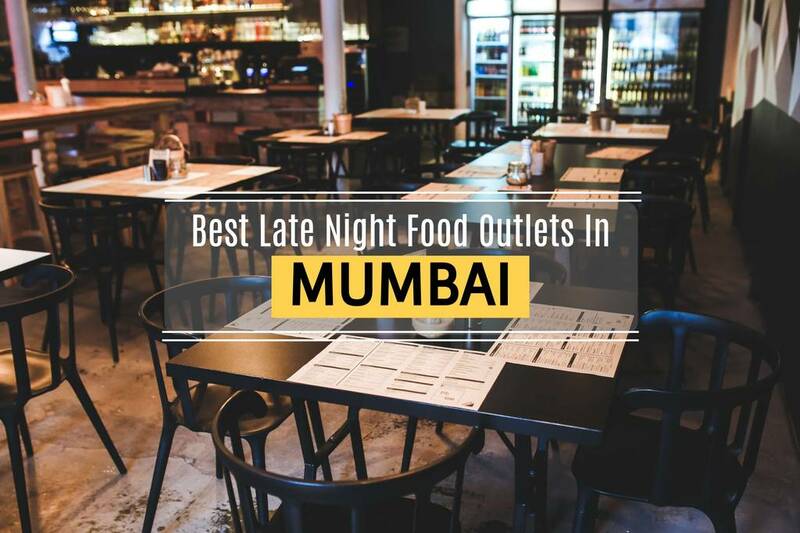 In today's busy and fast paced life, sometimes all you need at the end of a tiring and stressful day is a glass of your favorite drink, a scrumptious and delightful dinner with your loved ones and some cheerful tunes of music to unwind the best in you. 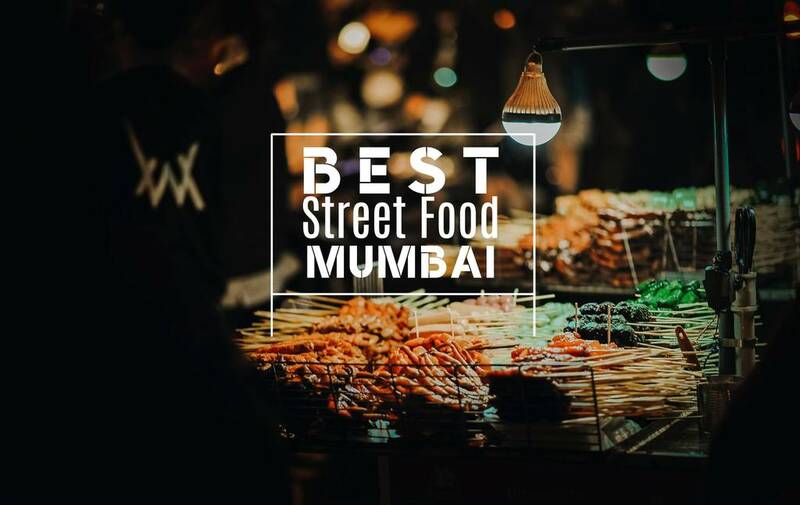 To ensure that you enjoy the New Year with a bang in the most hassle free fashion here is a roundup of the finest and most happening New Year spots in Mumbai. So get ready to welcome the auspicious year with a great night with your friends and loved ones. 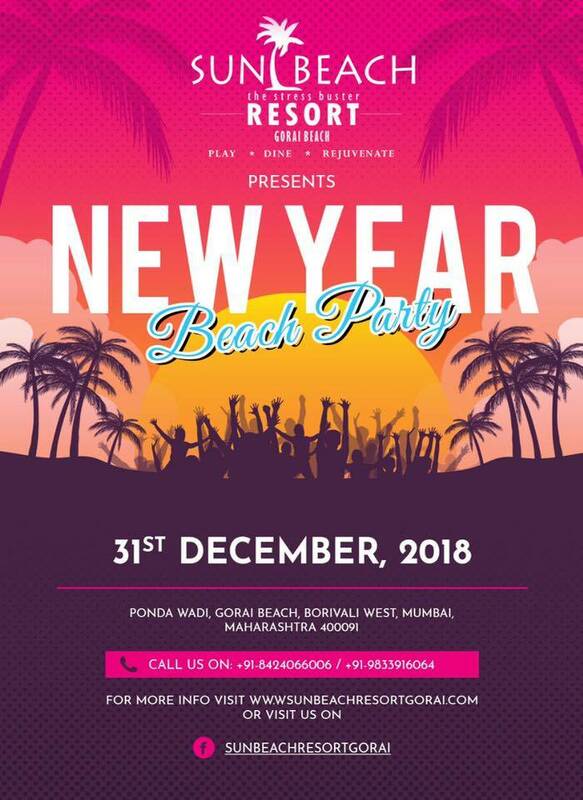 Get ready for the biggest themed party in Mumbai - Yes, we're talking about a beach themed new year eve's party in Mumbai at the Sun Beach Resort. 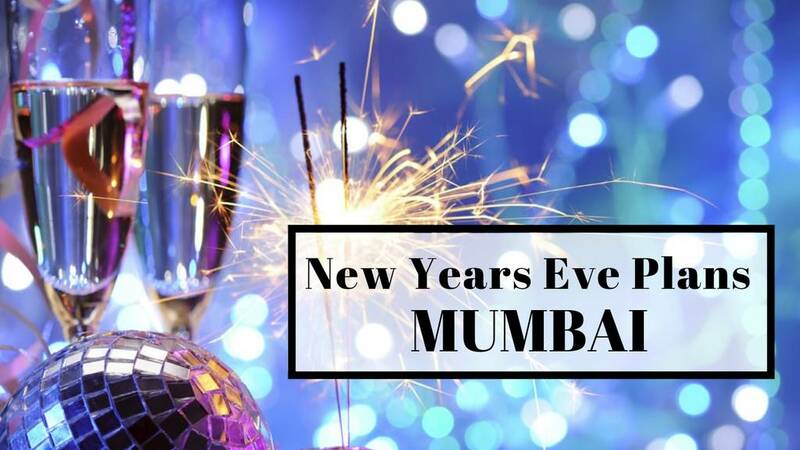 Get sloshed sipping on exotic cocktails and binge on exquisite meals - Dance your sorrows away and have the most unforgettable new year party here - Reserve a place, contact them before the passes sell out - it has to be one of the best new year parties in Mumbai. You can take the boy out of Bombay; you can't take Bombay out of the boy. Here's presenting to you our 2nd New Year's Eve Celebration, where you will walk down the Red Carpet to the biggest Blockbuster the city has ever seen. 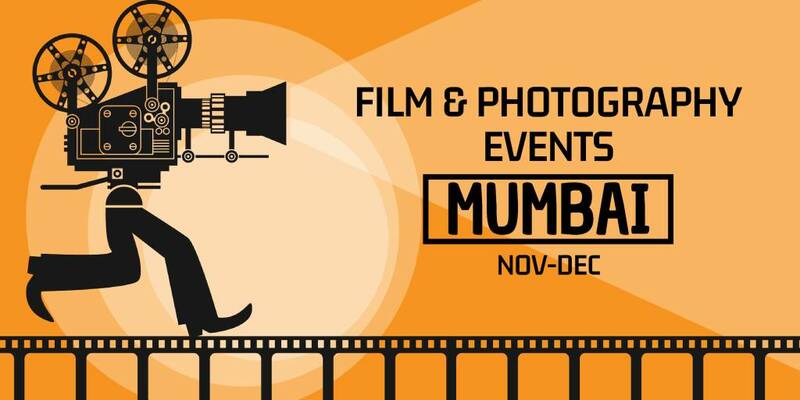 BOMBAY TALKIES at JLWA Mumbai - Bandra on 31ST DECEMBER 2018, this NEW YEAR'S EVE. Let's give a grand welcome to the 365 Days that 2019 brings. 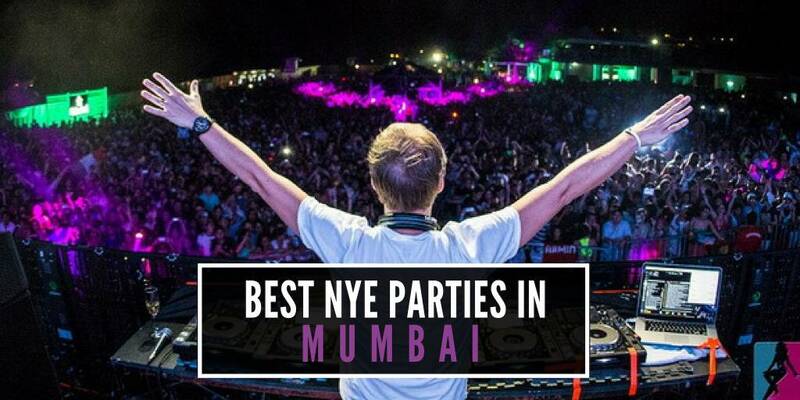 It has tobe one of the best themed NYE parties in Mumbai - you just can't miss out on this one. 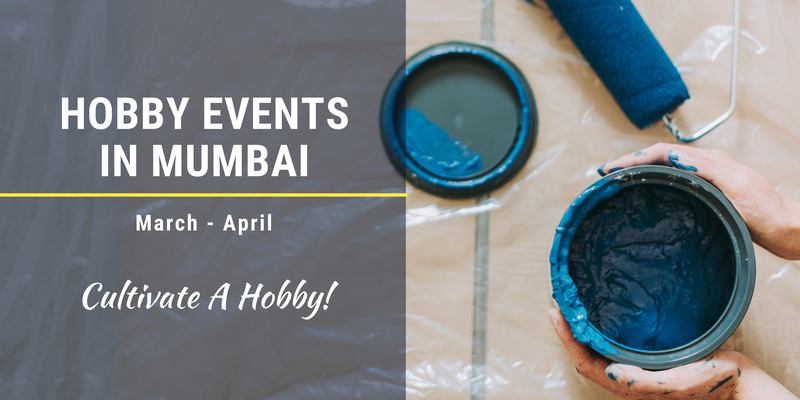 ENTRY: Bookings on: +91-9920496361 / +91-9867370555 / +91-9768349299. New friends, new adventures, new memories, new experiences, new desires, new beginnings, it's time for a #NEWYEAR. Here's presenting to you our 1st New Year's Eve Celebration, where we'll take you to a mega Carnival, so put on your masks and get ready for a ride. 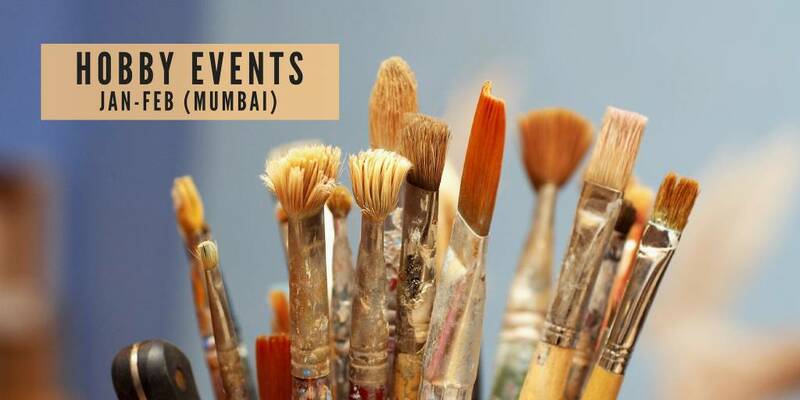 "THE BOMBAY CARNIVAL" at BARREL & CO. - ANDHERI on 31ST DECEMBER 2018, this New Year's Eve. 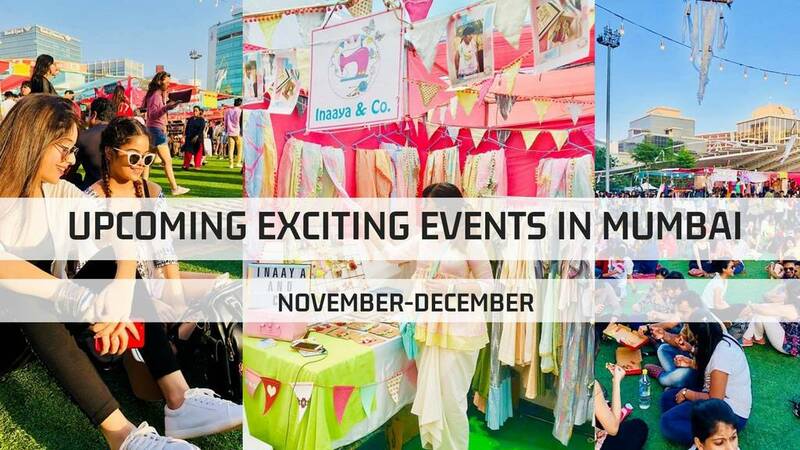 Be a part of the most exciting carnival with live acts & performances, marscarades, a carnival set up & so much more. What happens in Ibiza, stays in Ibiza. The Countdown begins.Here's presenting to you our 3rd New Year's Eve Celebration, where you will get a chance to Party it out in the Ibiza Style and make memories which will last a Lifetime. Ready. Steady. Ibiza! 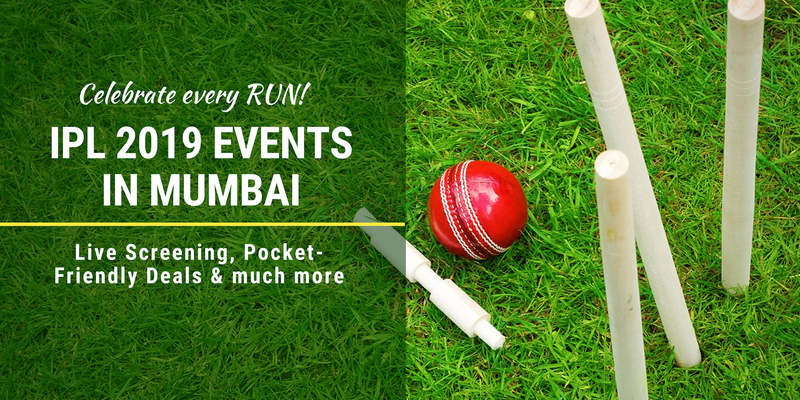 - It's definitely going to be one the biggest NYE parties in Mumbai - you just can't miss out on this one for sure - reserve your bookings now before the passes sell out. The New Year's Bash is here at #KittySuMumbai and this time it's bigger and BETTER than ever. #ITGetsBetter2019-2018 was an amazing year for Kitty Su. Some of the most important milestones came through this year. The decriminalization of Section 377 in the Supreme Court to start with, which gave freedom to all. #PureLove #Inclusivity #DragEmpowerment #Diversity. Happy happenings that prove my kittens are awesome, and that you feel fabulous while at Kitty Su. 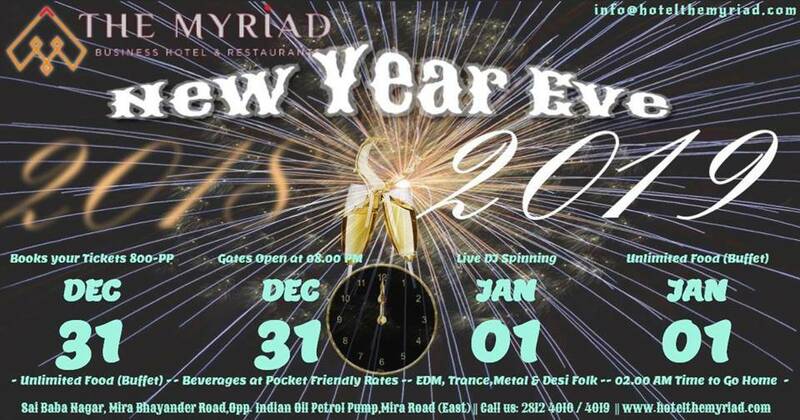 The Myriad Hotel brings you the best New Year Party with DJ Spinning your favorite number of EDM, Trance,Desi Folks and many more with amazing Veg / Non-Veg Buffet absolutely free, contact us for more details. 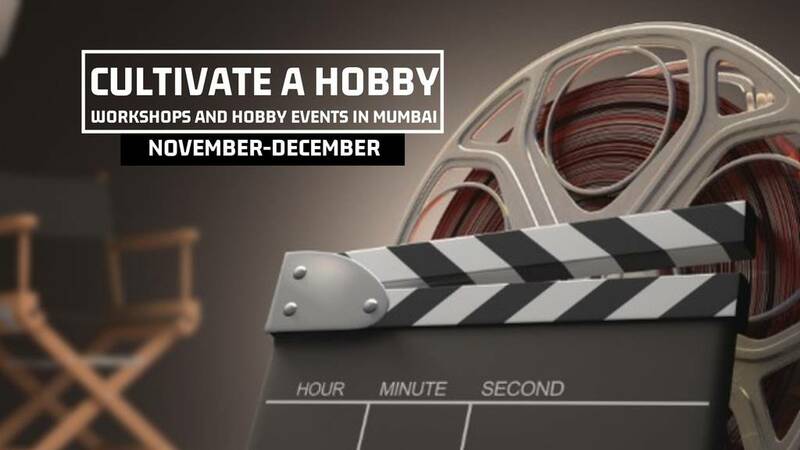 Entry fee 800/- PP.Limited Seats Available - Grab your New Years Eve passes now. It's time for the biggest celebration of the year, it's time to get together and bring in the new year with your loved ones! Do it right, do in Hard Rock style! 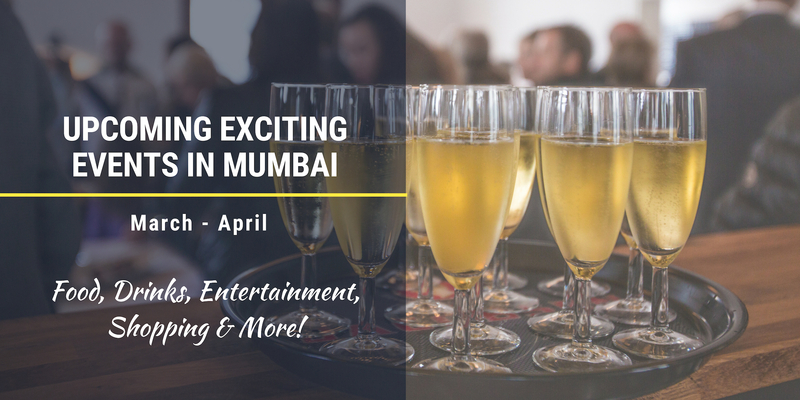 Enjoy unlimited food & drinks and some kickass music with the exclusive Hard Rock experience! 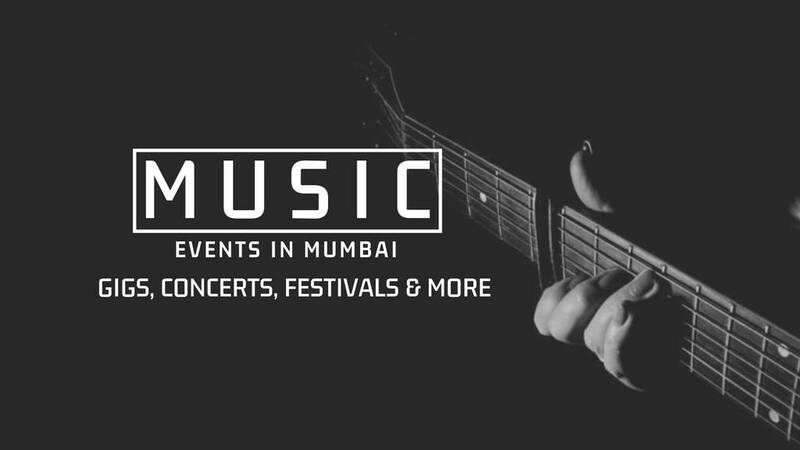 We'll be playing the best of Rock, Commercial & even Bollywood! See you and your gang on December 31st! #NYE2019 #ThisIsHardRock. Here's presenting to you our 4th and final New Year's Eve Celebration, where the Event will be transformed into an elegant, colourful and a tantalising night. We present to you one of the most Romantic themes in the history of the Universe at Asia's Longest Bar. 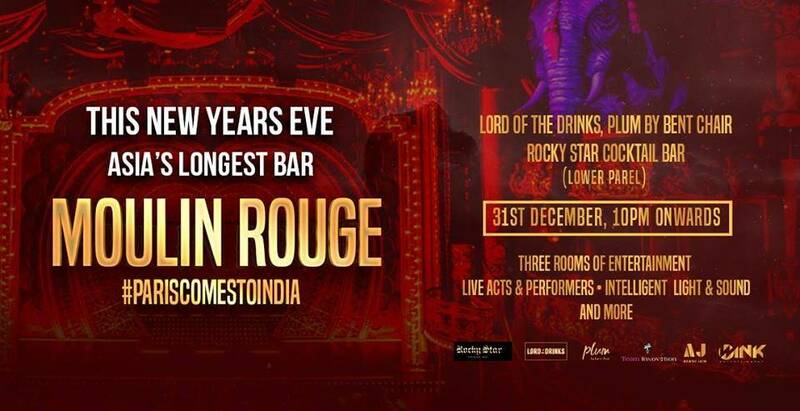 MOULIN ROUGE at Lord Of The Drinks Lower Parel, Rocky Star Cocktail Bar & Plum by Bent Chair - Lower Parel on 31ST DECEMBER 2018, this NEW YEAR'S EVE. Let's give a grand welcome to the 365 Days that 2019 brings. 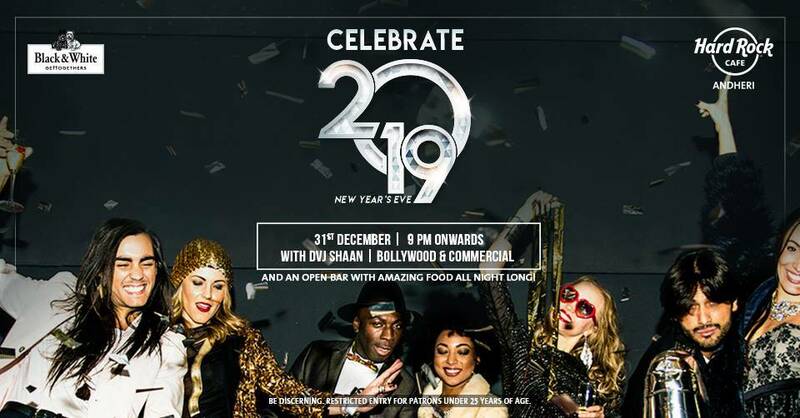 “R-ADDA” presents GLITZ & GLAMOUR 2.0 New Year’ Eve 2019 (31st DECEMBER 2018). This is a New Years Eve Party so rendezvous yourself with high upliftment , as we give you a night filled with Glitz & Glamour. Treat yourself with an extra SPARKLE and DASHING STYLE coded. Now that we know how fabulously unique this new year eve party experience is going to be. 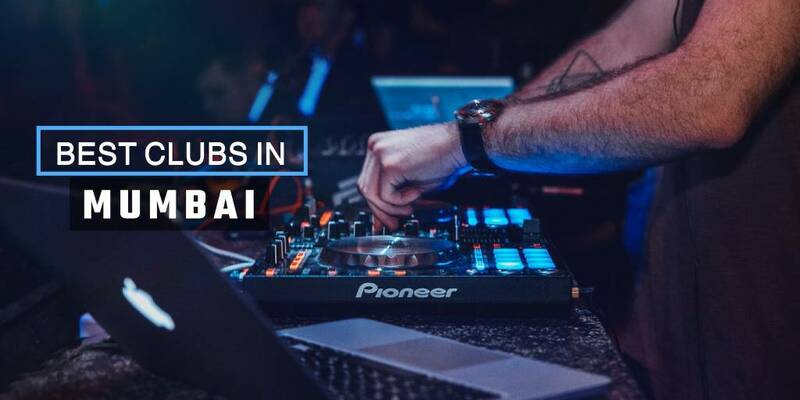 Get ready to rock, reveal, and dance on the tunes of DJ MANAN. 10. 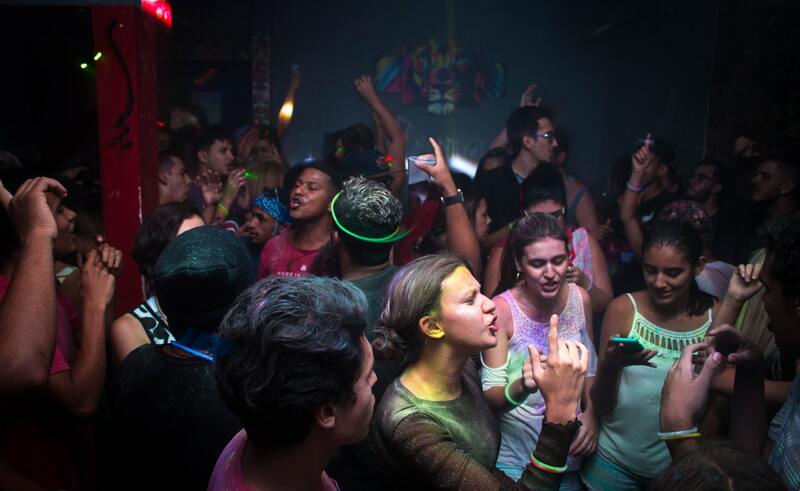 The Last Hangover NYE 2019 Celebration! Hola CULT- IANS !!! The Countdown begins for the final adieu.Welcome the new beginning in The Classic Cult way. We are elated to announce our 1st New Year's Eve Celebration. New Year with old memories welcome the First day of the new year with THE LAST HANGOVER’! 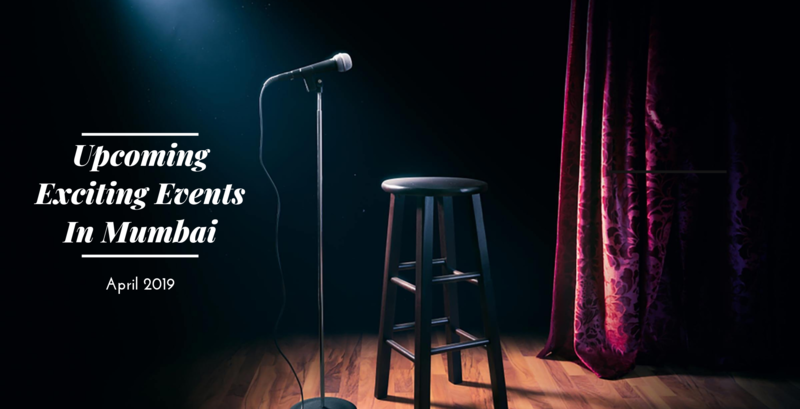 So get ready for a night full of hangover memories as we bid farewell to yet another wonderful year & dive into the grandest fiesta of 2019. THE LAST HANGOVER at The Cult Mumbai 31st December.